Posted October 31st, 2017 by Capital Models & filed under News. 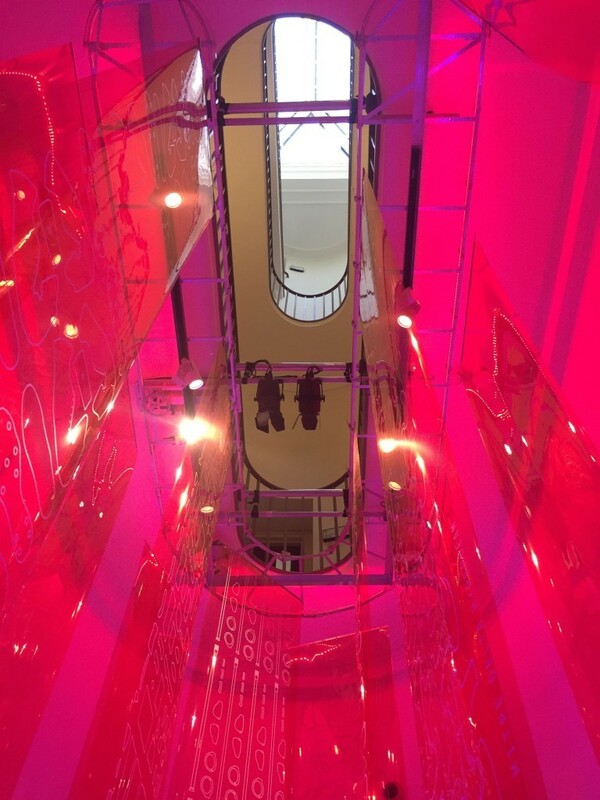 At Capital Models we love a challenge, so when we were contacted by Pentland Brands to make a bespoke sky rail for an installation at Somerset House, we were inspired! Pentland is behind some of the world’s most innovative sports and outdoor brands and their ‘Materialise’ installation showcased the latest products from Berghaus, Speedo, Canterbury and Lacoste. This installation was part of the Design Frontiers exhibition for London Design Festival 2017. 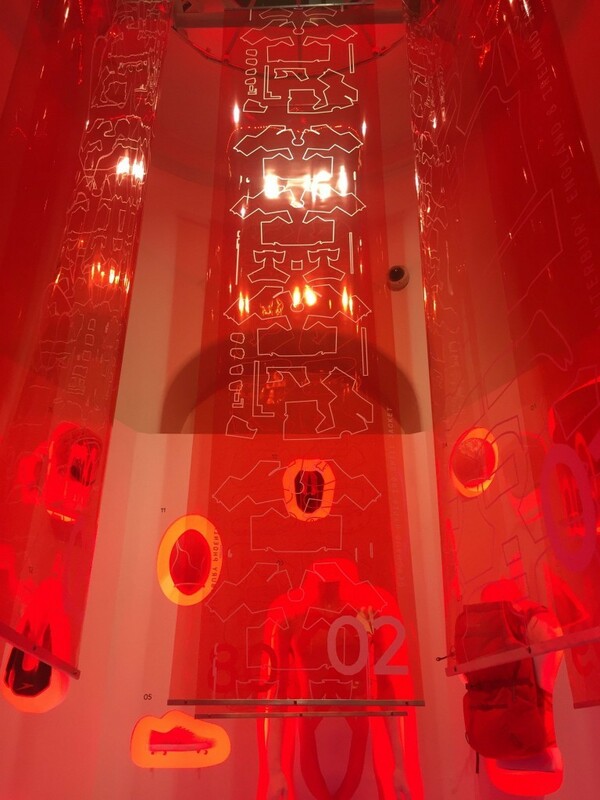 The centrepiece required a bespoke sky rail to display and slowly revolve 2D pattern designs of each product that would trigger a light on the corresponding 3D product. Buying a piece of apparatus for a unique display such as this was going to be an expensive venture and would normally retail around £20,000. So Pentland approached us to see if we could suggest any alternative solution. For our senior model maker Robert, this was a perfect challenge. 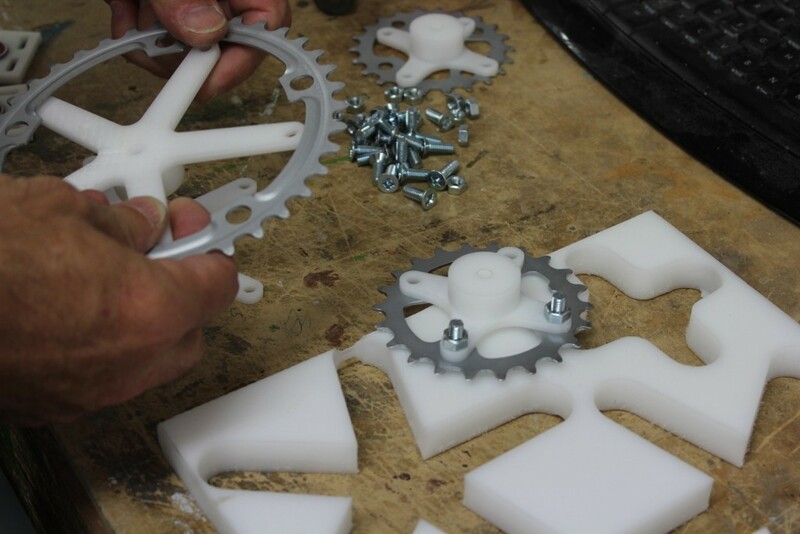 He has earned the reputation of being a 3D visionary within the model making industry but is also a strong believer in traditional values and problem solving using old-fashioned tools and methods. 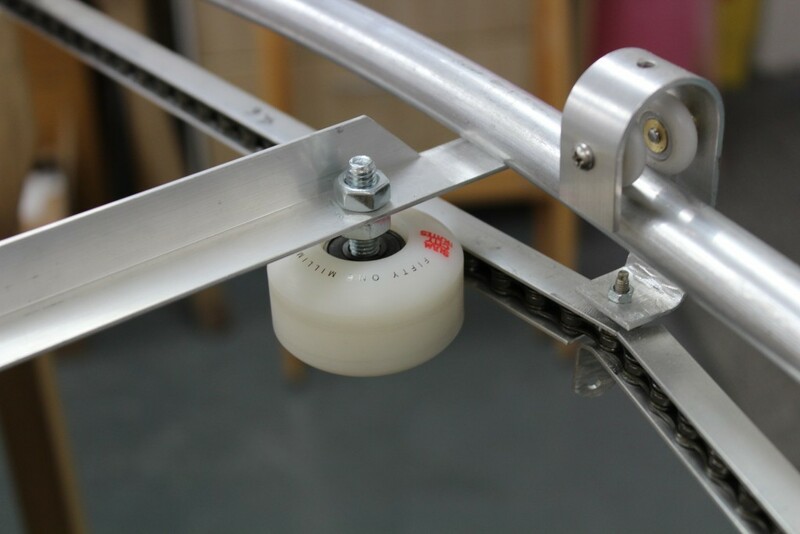 By going back to the drawing board and ‘thinking outside of the box’ he produced a fully functional, bespoke fitted sky rail, made from bits and pieces such as skate board wheels, bicycle chains, bespoke cut trolley cogs and a curtain rail. 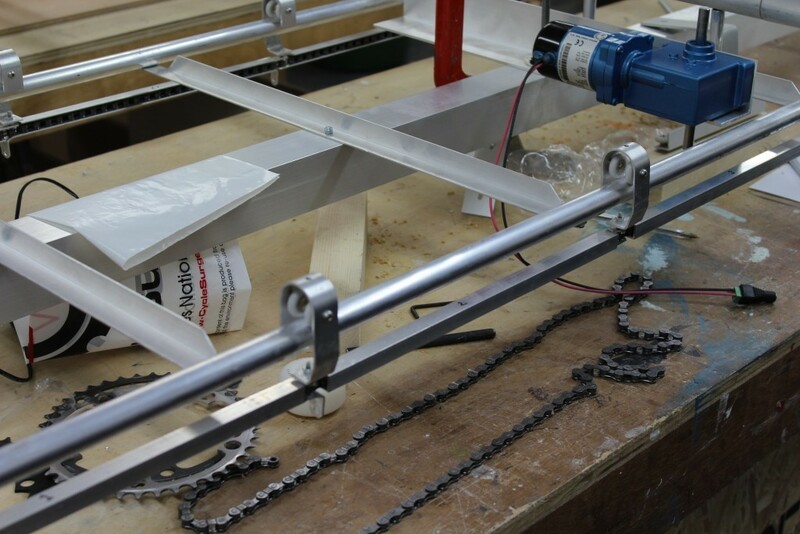 The end result was a fully functioning sky rail that was the pivotal focus of the display. Situated in the chapel room, the sky rail hung from the cathedral ceiling triggering a series of red and orange lights that illuminated the whole area. The result was stunning and Pentland’s ‘Materialise’ exhibit certainly attracted the crowds. The juxta position of showing sports garments made of the most advanced materials within a display made possible by ‘back-to-basics’ thinking is an intriguing one. But, it worked! And so much so, that Somerset House are looking at keeping the bespoke sky rail as a permanent feature. An example of successful model making, effectively communicating a unique idea.